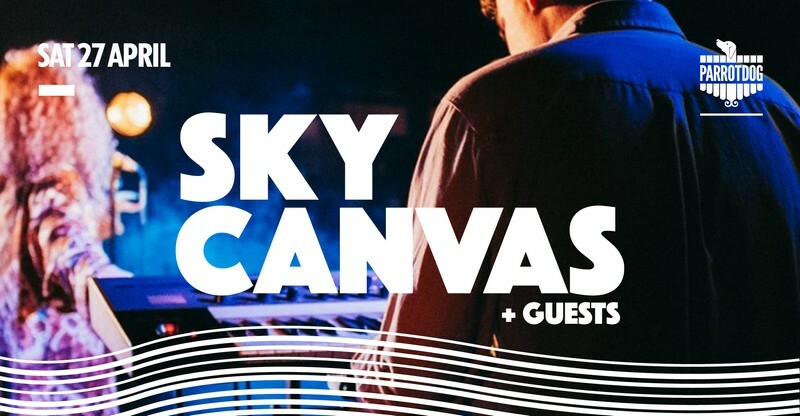 This month Sky Canvas and their guests are playing a free gig to help celebrate Parrotdog Bar's First Birthday. Along with the music, we will also have a special Birthday beer on tap. Keep an eye on the event page for details on special guests and set times in the lead up to our big, Birthday Bash. Sky Canvas are an alt soul/hiphop Wellington 5-piece. They are a dynamic blend of stirring vocals with colourful synth/guitar textures and fiery, dancing rhythms. They bring this radiant and hard-grooving energy to their live shows - delivering a gripping experience that you'll find yourself moving to. Their sound features elements of off-centre soul, hip-hop, electronic, rock and eastern-flavoured jazz.